Gossip session in the morning with bed tea in hand was followed by digging into steaming hot aalu puri as sweet rays of winter sun warmed our bodies. Of all the hill stations in the North, Kangra valley rarely vies for attention with gimmicky spells. But perhaps that’s where its charm lies. Snuggling up to the snow capped Dhauladhar range, this valley in Himachal is a weekend getaway from Delhi with its scenic viewpoints, hidden monasteries and warm people. It has something to offer to everyone, amazing landscapes and lush green forests for photographers and nature lovers, serene monasteries hidden in the pines for those looking for some quietude and activities like paragliding and trekking for the adventurous lot. It was a clear day, perfect for paragliding. We were now heading to Billing, one of the world’s best Paragliding sites. Zigzag ways, deep valley on one side and snow covered high hills on the other and chilled air kissing our faces. The paragliding team was headed by Sonu. Sitting at the height of 2290m above sea level, looking at the horizon and sipping hot tea in chilling weather was something we will cherish throughout our lives. Exalted hearts, nervous minds and shivering bodies. Right direction and velocity of wind was required to jump off the cliff. Our pilots were experts in judging the right moment and encouraging us to jump. All the nervousness disappeared as soon as we were in the air. Then it was all excitement of flying up above the deep valleys and high mountains. The feeling while you are up there is beyond words. Landing was trickier than the take off. Along with the right direction and velocity of air, folding legs in a specific way was also required. Follow the instruction exactly as given by your instructor or else break your legs, we were told. We opted to follow the instructions. We were all dead tired after this soul stirring experience. Not just exciting but it was also a good learning experience - trust and confidence in your instructor, perfect coordination, taking timely decisions and much more. Tucked away from the town, just a few kilometers west of Bir in Upper Bhattu, is this sprawling Tibetan Buddhist monastery and retreat complex. Situated in the midst of lush green pine forested foothills of the Kangra Valley, Palpung Shera Bling monastery is the place to relax and celebrate life, leaving behind all the worries and hassles. 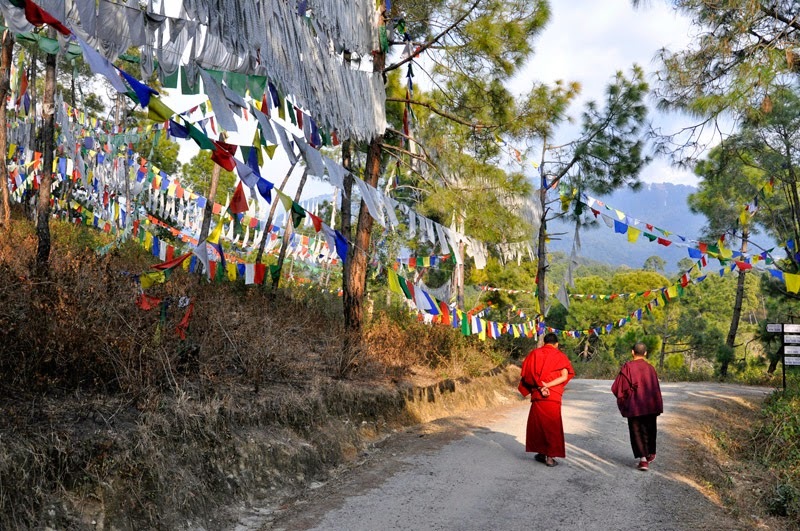 A quiet walk through the pine forest with colorful Buddhist prayer flags on the sides of the road guided us to the monastery. While we were taking a look at the magnificent monastery building, the magical drum beats compelled our attention. We followed the beats and found that they were coming from the 3rd floor. The monks, young and old, were engrossed in the rehearsals. The monastery will host bi-annual Lama-dances in its premises we were told, of which the practice sessions were going on. Celebration of life in the midst of serene nature, glowing jovial faces of kids, youth and old alike, we felt as if we have reached some different world altogether where people knew no sorrow. After having Thukpa and tea, being served by most friendly people in the café outside the monastery we proceeded further. On our way back to the hotel we visited the ancient Shiva temple in Baijnath. 13th century temple dedicated to Lord Shiva has been continuously under worship ever since its construction in 1204 A.D. The temple is a beautiful work of the early medieval north Indian Temple architecture known as Nagara style of temples. Baijnath being my birth place, this temple holds special importance for me. We, as kids, used to come here every evening with our parents. While they used to offer prayers, we would spend time playing in the well maintained garden just outside the temple. I still have very fond memories of grand 5 day celebrations on maha shivratri in the temple. All the members, including kids of the family would get up early morning, take bath and rush to the temple and this routine would go on for the whole week. Decorated with marigold flowers all over, temple looked so different in those 5 days. Thronged by numerous devotees from all over the state, we had to wait for hours just to get a glimpse of the inside of the temple that’s so easy to approach on any normal day. Today while visiting it with people from other cities and narrating to them the whole childhood experience I relived those childhood memories. That was the moment when we realized that it’s time to say goodbye to this serene land. With heavy hearts we left the beautiful valley but we were happy to have gathered so many memorable moments and have made friends for life. 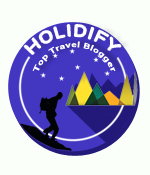 Kangra Valley is situated in Himachal Pradesh, India. The valley has an average elevation of 2000 ft. The highest peak on the Dhauladhar range which marks the boundary of the valley reaches 15,956 ft.
· By Rail : The nearest broad gauge railway station is at Pathankot placed at a distance of about 90 km from Kangra. There is frequent bus service and taxis are also available from Pathankot. One can also take narrow guage rail from here. 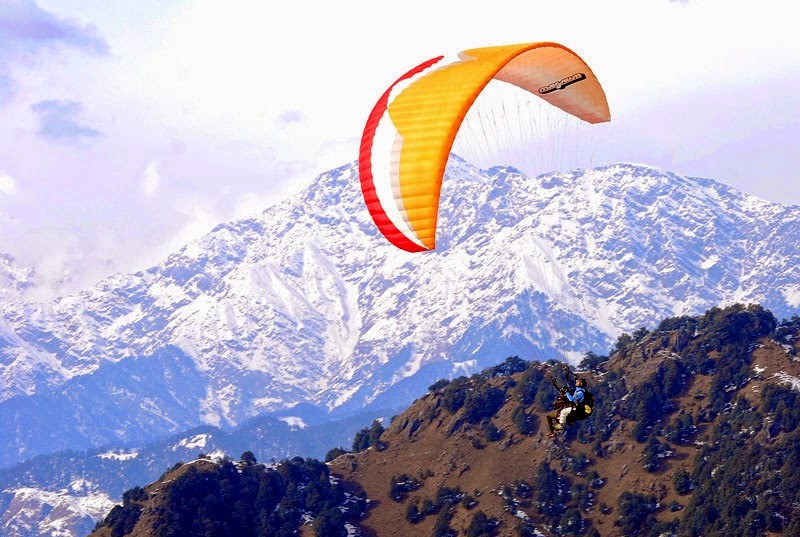 · Air: The nearest airport to reach Kangra is Gaggal airport, placed at distance of 13 kms from Kangra city. Taxi cabs are available from there. The taxi fare varies depends on the season. Typically taxi charges are Rs.300. 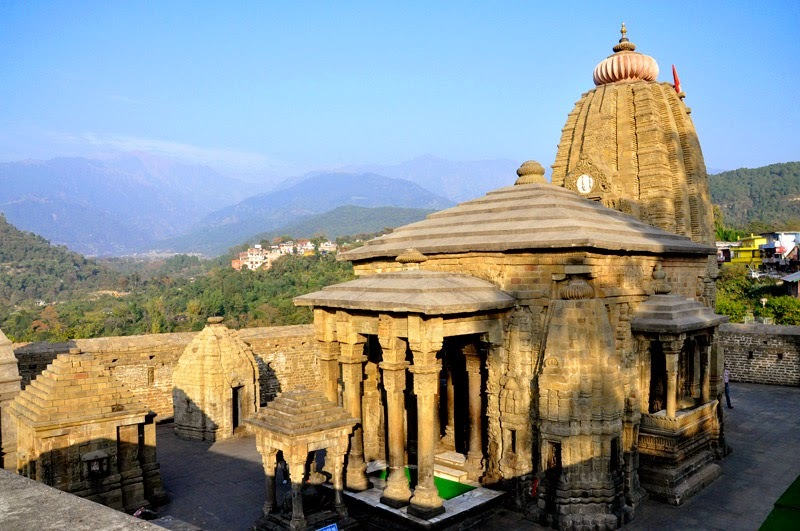 · By Road: Kangra is approximately 450kms from Delhi. It is around 10hrs drive and roads are in good condition. You’ll need a car to travel around. Hire a taxi from Pathankot, if you have come by rail or from Kangra, if you have come by air. The areas of interests in and around Kangra valley are Palampur, Baijnath, Bir, Billing, Bhattu, Kangra fort and Mcleodganj.